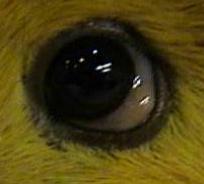 What is this condition – a creamy white mass in the lower conjunctiva in a prize show guinea pig? This so-called fatty eye in which fat deposition is seen in the subconjunctival space. 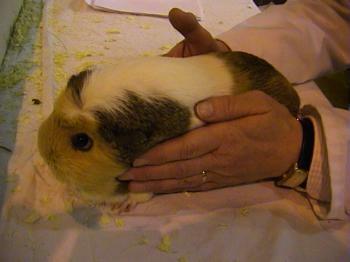 It occurs particularly in guinea pigs being fattened not for the pot (! ), but for the show ring. Note how it differs from flesh eye where the tissue is orbital gland. This entry was posted in Cases and tagged guinea pig. Bookmark the permalink.